You can easily add password(passcode) lock code or fingerprint lock to your WhatsApp messages. Only you can able to access your locked WhatsApp messages protected with password(passcode) code or fingerprint. Best Lock and Password Protection for WhatsApp Messages! 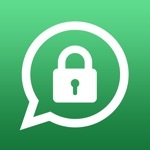 Lock for WhatsApp is best WhatsApp lock application to store your private and confidential WhatsApp messages. Import WhatsApp messages to our app then lock with password(passcode) or with your fingerprint. Firstly set your password - passcode at "Lock for WhatsApp" then just e-mail WhatsApp conversations from original WhatsApp application to yourself and open that email & import to with just one tap! Disclaimer: Fingerprint lock works with only iOS8+, iPhone 5S and newer devices. You can use password or passcode lock with any device. 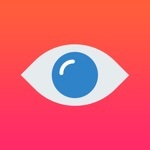 This application is the sole creation and responsibility of the developer. This app does not add lock to official WhatsApp application. This application is not endorsed by or affiliated with WhatsApp Inc. WhatsApp Messenger, its name, trademark, and other aspects of the app are trademarked and owned by their respective owners. 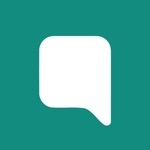 Snap for WhatsApp - Send Disappearing Snap Pics!